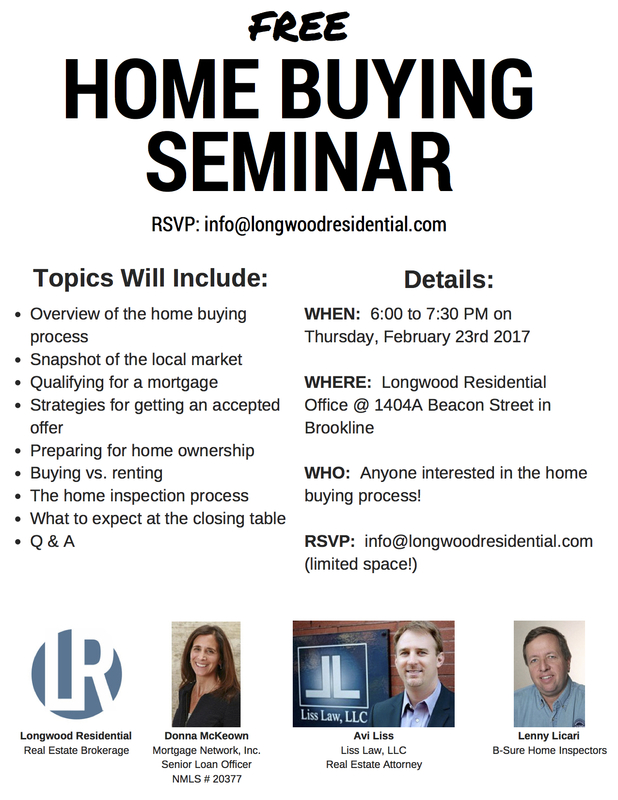 Free Home Buying Seminar Thursday, February 23rd! Join us at 6:00 PM on Thursday, February 23rd for a fun, informative and FREE Home Buying Seminar. This short presentation - perfect for first-time homebuyers or anyone looking for a refresher on the process - will feature info and tips from real estate agents, lenders, home inspectors and real estate attorneys. WHO: Anyone interested in the home buying process!